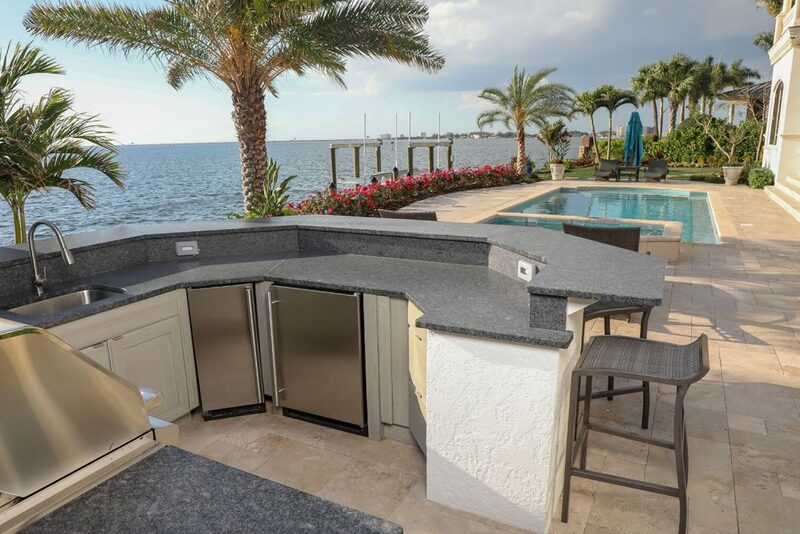 This kitchen was added to an area that was empty patio space. 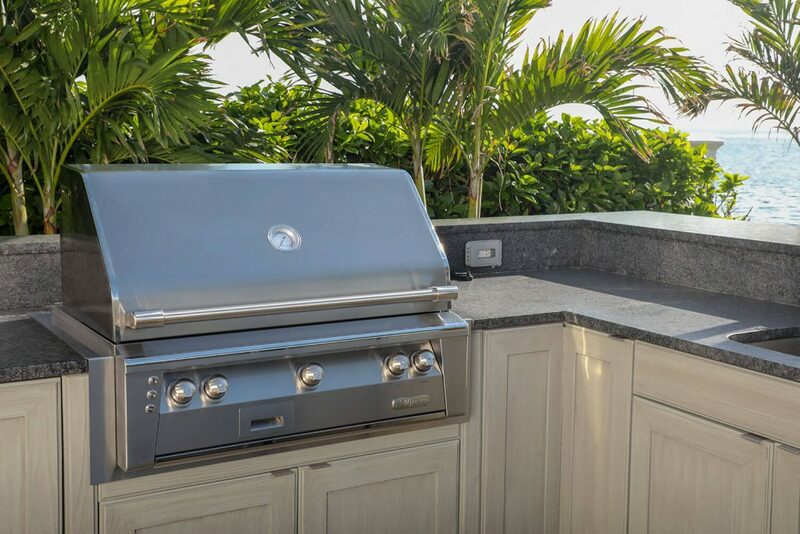 The outside of the kitchen features a traditional finish to complement the patio while the inside features encapsulated polymer outdoor cabinetry. 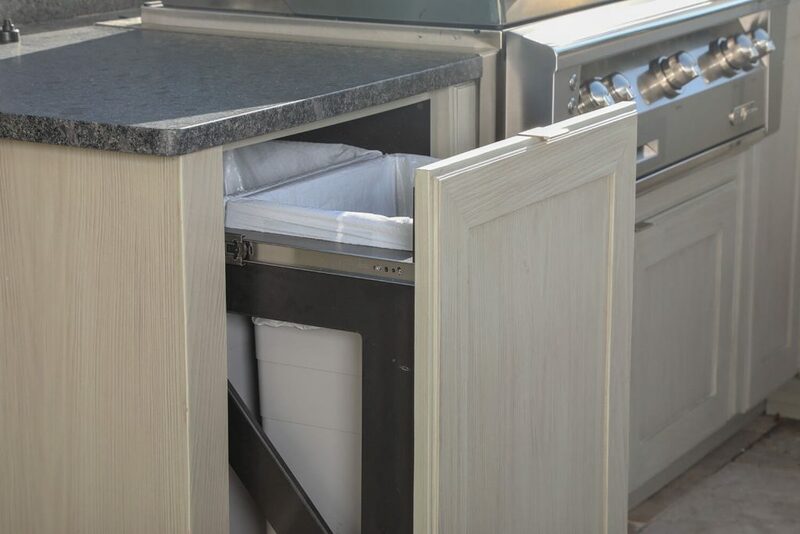 This type of cabinetry does not fade, crack or warp and is specifically designed for outdoor use. For entertaining, there is a raised high bar connected to the counter that wraps around most of the kitchen. 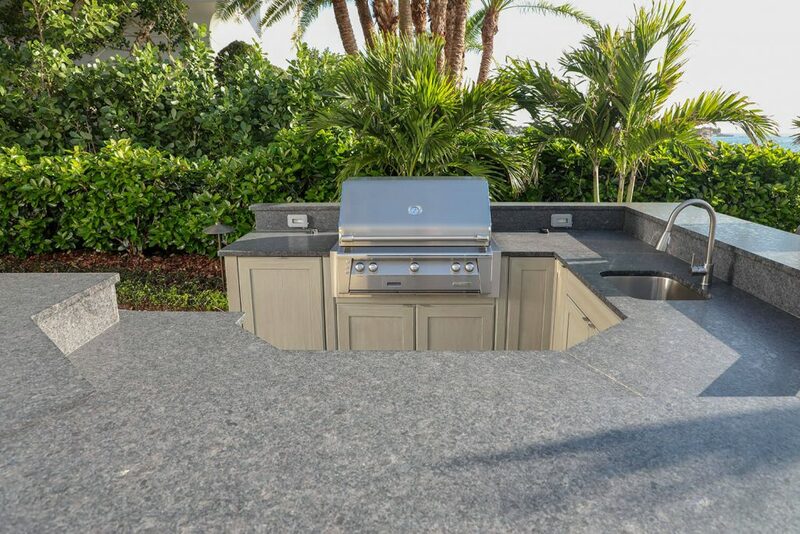 The countertop is a unique steel gray leathered granite. 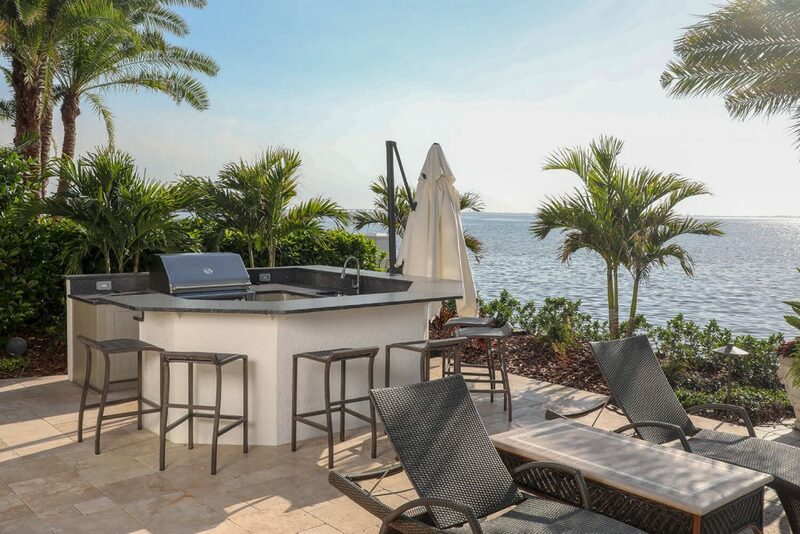 This kitchen features appliances from Alfresco Grills and U-Line.